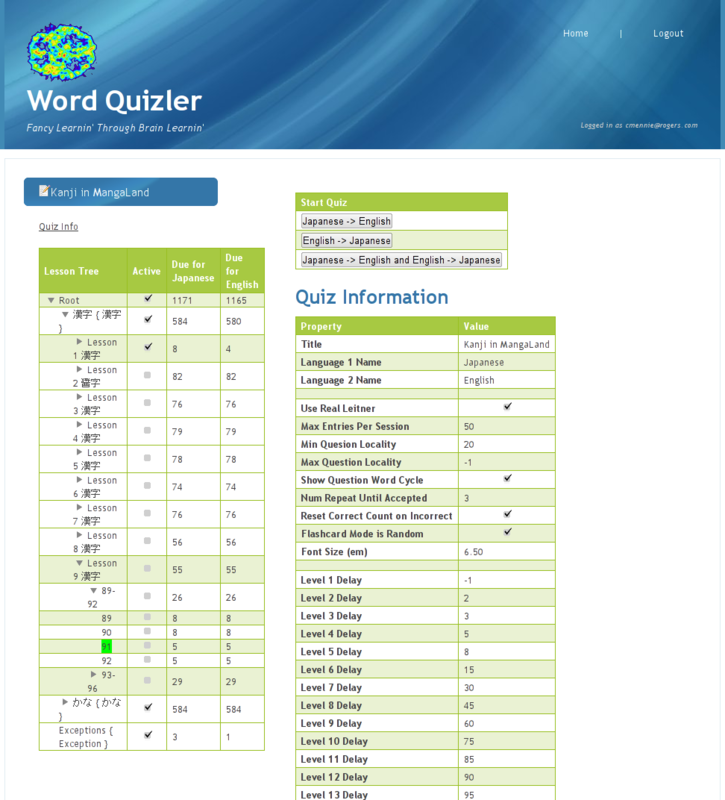 Word Quizler is an HTML5 word/phrase quiz application which uses the Leitner system for learning. 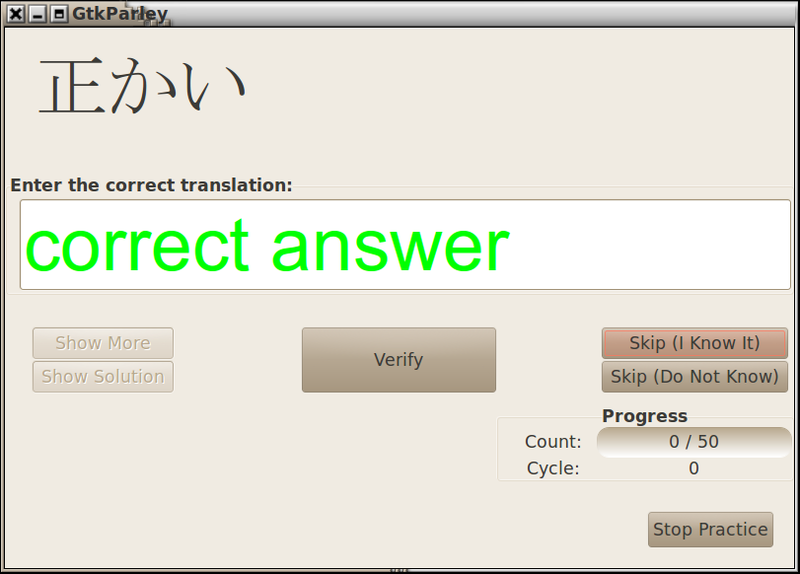 In addition to importing quizes in KDE's Parley KVTML format, users can create new quizes and edit existing ones. Quizes are presented as a tree of lessons with editable categories. 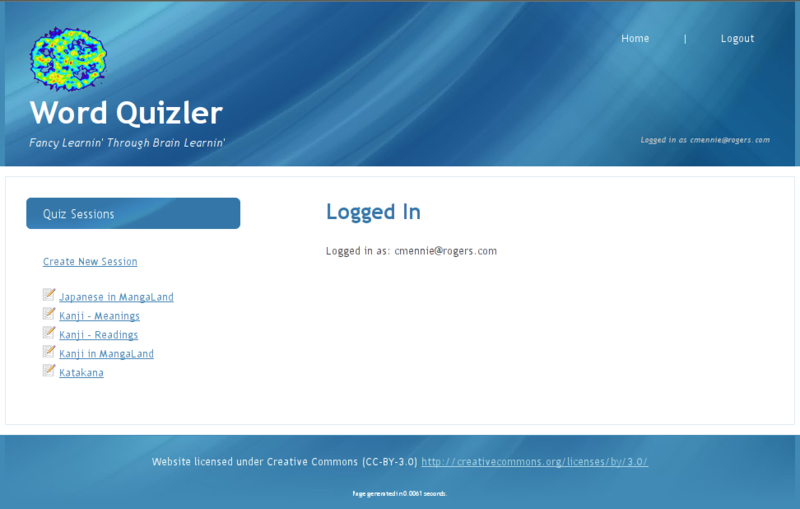 Once a quiz is started, Word Quizler takes advantage of HTML5 local storage to store the quiz and final results. This allows the web application to decouple itself from the server during quizing. The server parts are written in Haskell, using Yesod with a MySQL database. I coded in CoffeeScript for the client side bits while making use of jQuery and a few jQuery plugins. Client/server communication was handled by using AJAX. Authentication was handled using OpenID. 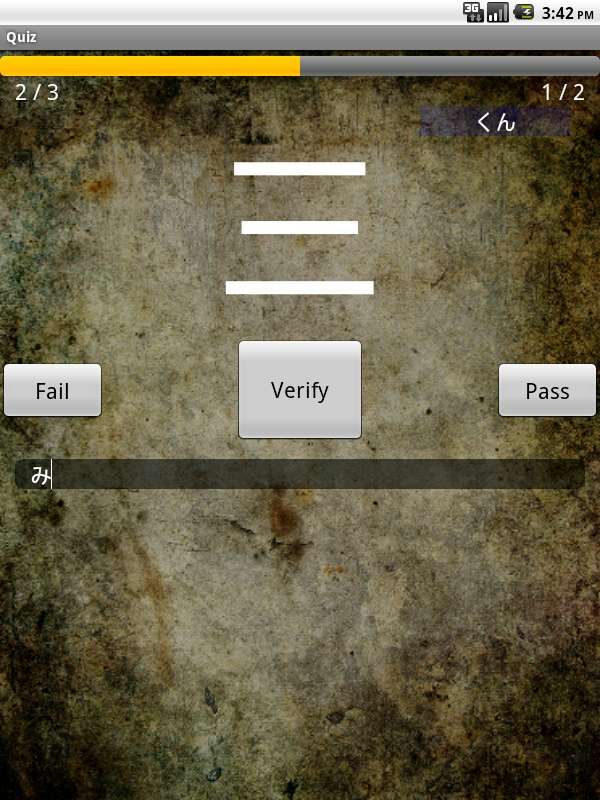 GtkParley is a word/phrase quiz application which uses the Leitner system for learning. Words are given grades representing how well you know it. After successfully answering for a word three times, its grade is incremented and the time between its inclusion in subsequent grades is increased. In this way, one doesn't waste time repeatedly quizzing well known words. I've based this application on KDE's Parley application. After using Parley for a year I grew frustrated with the bugs and decided to write my own version. This version supports basic Parley .kvtml files (two languages, no images). The UI framework used is gtkmm. Since I wrote this for myself the UI is tailored to my study habits and includes a bunch of buttons as a convenience for my stuff. However, it's still useful as a general learning tool. 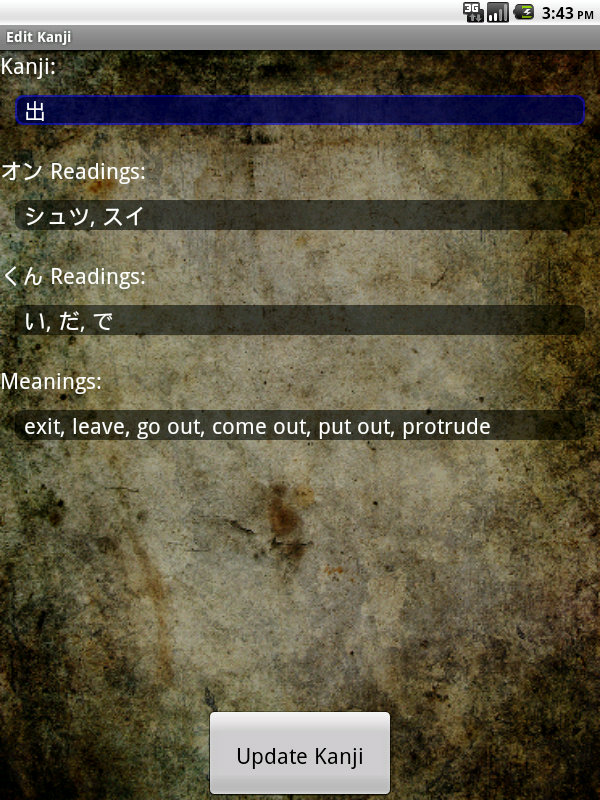 Brain Learnin': Kanji is an Android app to help learn Japanese kanji characters using the Leitner system. Separate gradings are kept for english, on, and kun readings. 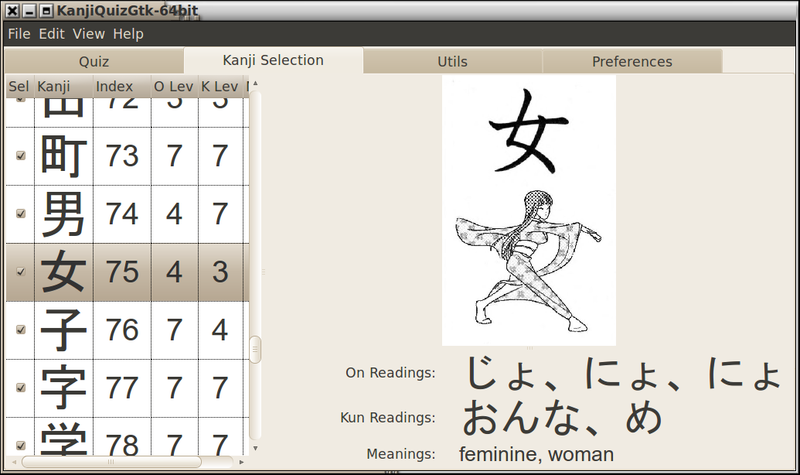 While including a number of kanji sets, a user can easily import custom sets to study from. 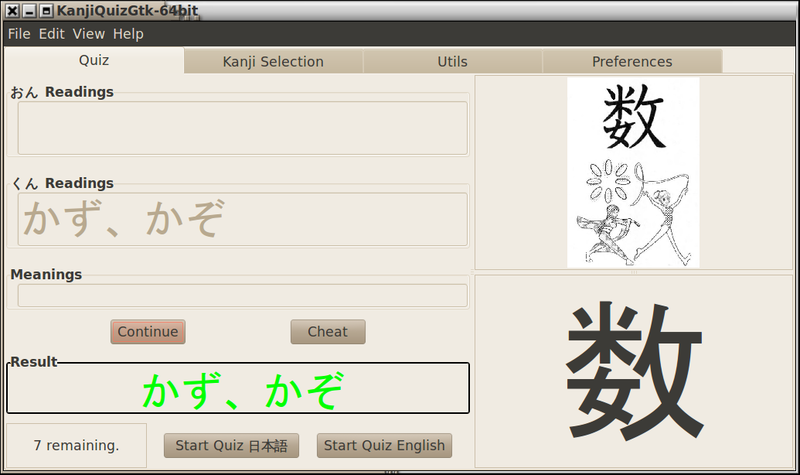 KanjiQuizGtk is a tool to help learn Japanese kanji characters using the Leitner system. Separate gradings are kept for english, on, and kun readings. 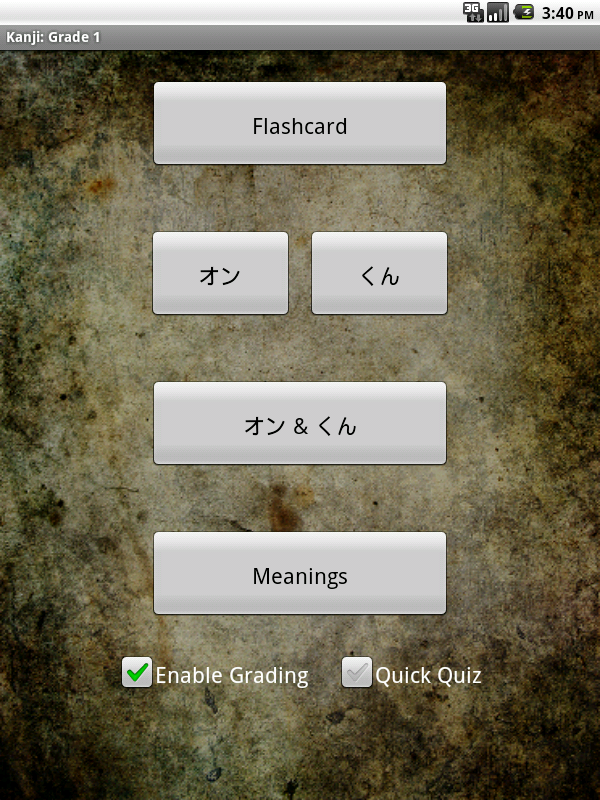 As well, if an image is available, it will be displayed along with the kanji for lower grades. © 2018 Chris Mennie. All rights reserved.